Dasho Tshering Tobgay, Prime Minister travelled to Bangkok, Thailand on 24thMay, 2018 to attend the 15thUnited Nations Day of Vesak Celebration 2018 at Mahachulalongkornrajavidyalaya University (MCU), Wang Noi, Ayutthaya, Thailand. Upon His arrival at the Suvarnabhumi International Airport, Lyonchhen was received by Venerable Phra Bhramapundit, President ofInternational Council for Day of Vesak. On 25thMay, 2018, Lyonchhen participated in the 15th United Nations Vesakday 2018 Conference graced by Ven. Somdet Phra Maha Muniwong, abbot of Wat Ratchabophit, the 20th Supreme Patriarch of Thailand. At the event, Lyonchhen delivered the Keynote address on the theme ‘Buddhist contribution for Human Development’. In the afternoon, Lyonchhen called on His Excellency Gen. Prayut Chan-o-cha, Prime Minister of Thailand at the Government House.Lyonchhen conveyed the warm greetings of His Majesty the King and thanked the Royal Thai Government for the warmth in which Their Majesties and HRH the Gyalsey were received in Thailand for the Royal Cremation Ceremony of His Majesty the Late King Bhumibol Adulyadej.The two Prime Ministers exchanged views on strengthening wide ranging bilateral and regional cooperation. Lyonchhen will arrive in the country on May 26th, 2018. Dasho Tshering Tobgay, Lyonchhen was on 3-day official visit to Guwahati for the inaugural ceremony of the Royal Bhutanese Consulate General in Guwahati and to attend the Advantage Assam Summit. Lyonchhen arrived in Guwahati on the afternoon of 1st February, 2018. In the evening Lyonchhen met Shri Sarbananda Sonowal, the Chief Minister of Assam. They discussed wide range of issues to strengthen relations between Assam. Chief Minister Sonowal also agreed to look into possibilities of improving the Santabari – Datgiri road which is essential for residents of Gelephu traveling through India. CM Sonowal also agreed to visit Bhutan in the not too distant future. On 2ndFebruary, 2018, a joint inauguration of Royal Bhutanese Consulate General in Guwahati took place. Foreign Minister of Bhutan, Lyonpo Damcho Dorji and Chief Minister of Assam Shri Sarbananda Sonowal, inaugurated the Consulate office in presence of Prime Minister (Dasho) Tshering Tobgay in commemoration of 50 years of formal diplomatic relations between India and Bhutan. At the inaugural, Shri Sarbananda Sonowal said that India and Bhutan share exemplary bilateral relations and the Consulate will further strengthen the cooperation between Assam and Bhutan in mutual areas of trade, tourism, education and cultural interactions. Lyonpo Damcho Dorji said that the opening of the Consulate is being celebrated as a seminal event to mark the Golden Jubilee Anniversary of the establishment of formal diplomatic relations between Bhutan and India – a journey of half-a-century of friendship marked by trust and mutual cooperation that stands out as a model for international relations. The Royal Bhutanese Consulate General in Guwahati will further foster the friendship between the two countries; and strengthen the people-to-people relations between Assam and Bhutan. Royal Bhutanese Consulate General in Guwahati is Bhutan’s second Consulate in India after the Royal Bhutanese Consulate General in Kolkata. In the evening, Lyonchhen met His Excellency Shri Pema Khandu, Chief Minister of Arunachal Pradesh this evening. Lyonchhen and Shri Khandu discussed on areas of mutual cooperation and people-to-people interaction between Bhutan and Arunachal Pradesh. The same evening, Lyonchhen met His Excellency Kiren Rijiju, Union Minister of State for Home Affairs of India this evening. Lyonchhen and H.E. Rijiju discussed on areas of mutual cooperation and interest. Lyonchhen also met His Excellency Amir Hossain Amu, Minister for Industries, Bangladesh. Lyonchhen shared his view on the Bhutan Health Trust Fund which distributes free basic health care to all Bhutanese and discussed other areas of mutual interests. On 3rd February, 2018, Lyonchhen graced the Advantage Assam Summit at the Indira Gandhi Athletic Stadium; an event which was attended by Prime Minister of India, Shri Narendra Modi. 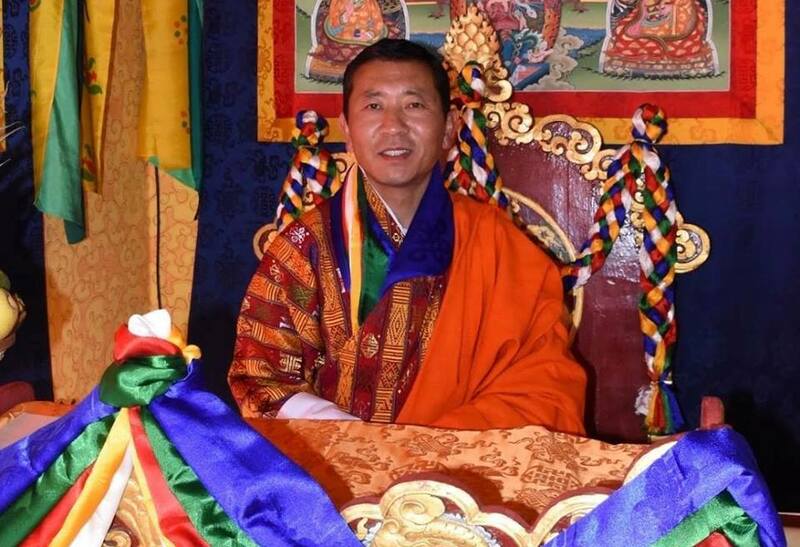 Lyonchhen began by conveying the greetings of His Majesty the King and the people of Bhutan. He shared that 50 years ago, in January 1968, Bhutan established formal diplomatic relations with India which has grown into an exemplary friendship, ‘one that has overcome differences in size, wealth and population; a population that is defined by mutual trust, understanding and cooperation’. 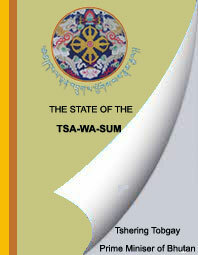 Talking at the summit, Lyonchhen highlighted that simply put, “Advantage Assam means Advantage Bhutan”. Explaining this he shared that Assam is Bhutan’s immediate neighbor, with whom Bhutan shares 266km border. “So, it goes without saying that Bhutan stands to benefit disproportionately, from a prosperous Assam,” He added. 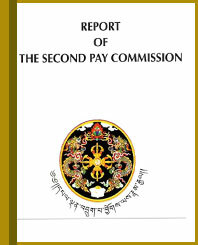 Lyonchhen invited investors to Bhutan and said that Bhutan’s 75th rank in the ease of doing business; respectable 27th rank in Corruption Perception Index by Transparency International; and 13th rank as the most peaceful and stable country in the world by Global Peace Index should excite investors to Bhutan. guarantees free access to India’s huge market. Lyonchhen thanked Shri Narendra Modi, the Government and people of India for their steadfast friendship. Lyonchhen ended by thanking Shri Sarbananda Sonowal, Chief Minister of Assam for organizing and inviting him at the summit. 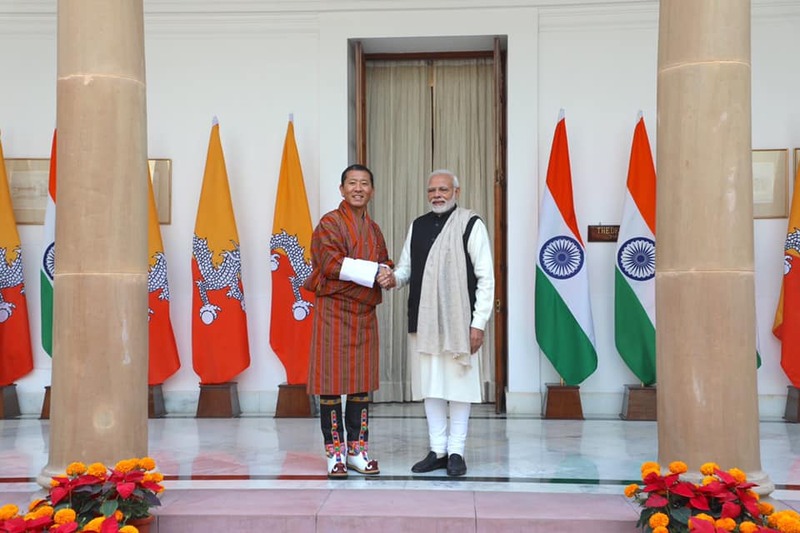 At the sidelines of the Summit, Lyonchhen met Shri Narendra Modi and discussed a wide range of bilateral issues including events to jointly commemorate the golden jubilee of the establishment of formal diplomatic relations between India and Bhutan. During the bilateral meeting, Prime Minister Modi agreed to the request of the Royal Government to increase the tariff for Chhukha Hydropower Plant (CHP) from Nu. 2.25 to Nu. 2.55 per unit with effect from 1stJanuary 2017. The 30 Chetrum increase is a bigger increase than the last tariff revision, which took place in 2014. With this increase, earnings from the export of electricity from CHP for the year 2017 will be Nu. 4,097.85 million. 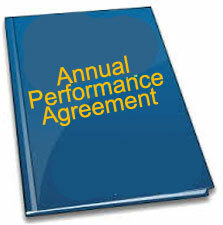 This amounts to an additional revenue of approximately Nu. 482.1 million. 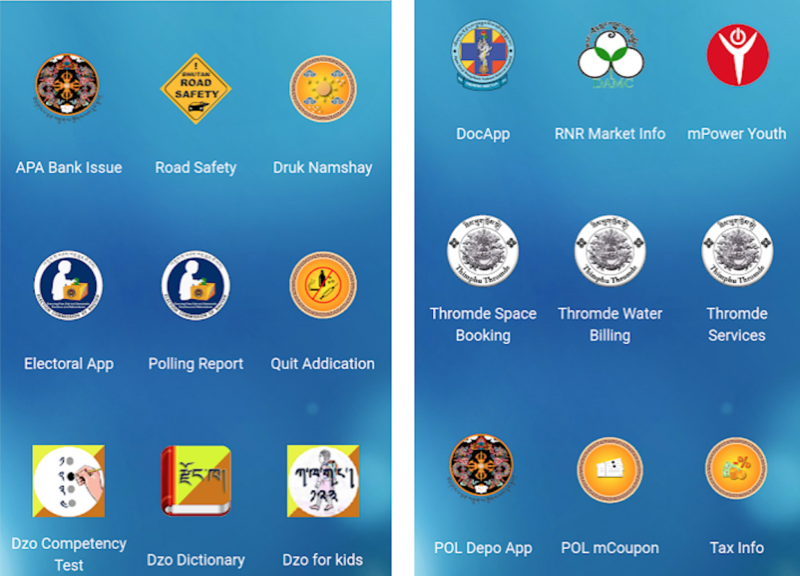 This will greatly help the government improve its fiscal position and Indian rupee reserves. On behalf of the people and the Royal Government, Lyonchhen thanked Prime Minister Modi and the Government and people of India for this very generous increase in the tariff. Lyonchhen highlighted that this special gesture is particularly significant as Bhutan and India commemorate 50 years of formal diplomatic relations this year. 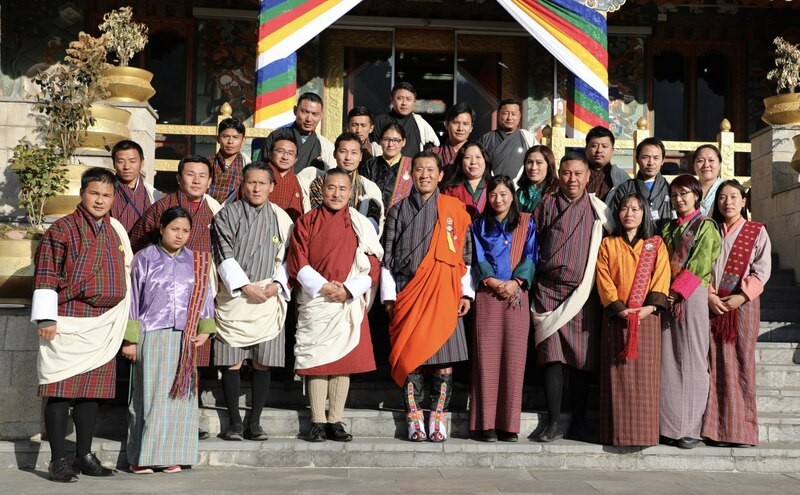 Lyonchhen mentioned that CHP is an iconic power project that heralded the beginning of a successful and mutually beneficial partnership between India and Bhutan in the hydropower sector. This significant tariff revision is a reflection of the goodwill and extremely close ties of friendship between Bhutan and India. In the evening, Lyonchhen met His Excellency Dr. Than Myint, the incumbent Minister for Commerce of Myanmar and discussed issues of mutual cooperation. Lyonchhen returned to Thimphu on the morning of 4thFebruary, 2018 after a successful 3-day visit to Guwahati. Click here for the Complete set of bidding documents with detailed specifications/terms and conditions. The documents will be available w.e.f 1st November 2017 until 30th November 2017 (12:30 PM) and will be opened on the same day at 2:30 PM. *Note: Interested Bidders are required to visit the office during office hours to sign Integrity Pact before submission of Bids.